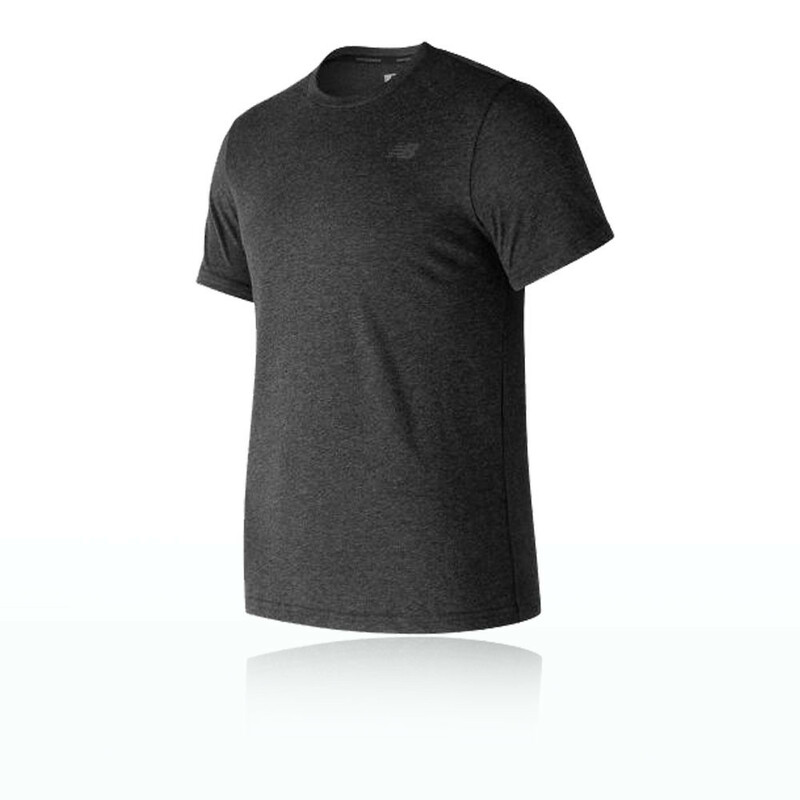 Get the best out of your workout with the New Balance Heather Tech Running T-Shirt. 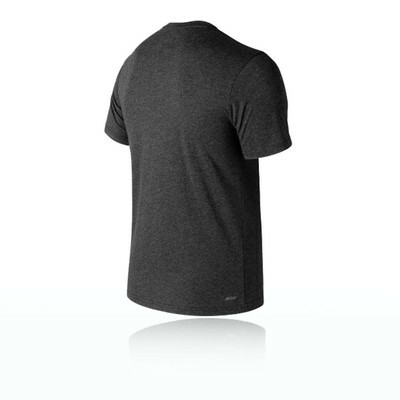 Made from soft moisture-wicking fabric with antimicrobial properties, it will keep you cool, dry and comfortable, allowing you to concentrate on your performance. "True to size and great buy as part of offer with shoes"
"Nice texture & fits very well"
This stylish New Balance Heather Tech Running T-Shirt is built from moisture-wicking fabric, ensuring you stay dry and comfortable while you train. New Balance's NB Dry Technology works to actively and effectively wick away the sweat and moisture from your skin to leave you feeling cool, dry and comfortable. Once the sweat and moisture are wicked away they are then transported from the skin. The t-shirt also provides resistance to odours by using antimicrobial treatment to keep the garment smelling fresher, for longer. The Heather Tech T-shirt allows a fluid range of motion. It also features a reflective logo, giving added visibility in low light conditions, so you can run in the early mornings or evenings whilst staying safe and seen. NB Dry Technology - Wicks away sweat and moisture. Shark Reflective Logo - Stay visible when running in low lighting with the 'NB' New Balance reflective logo.